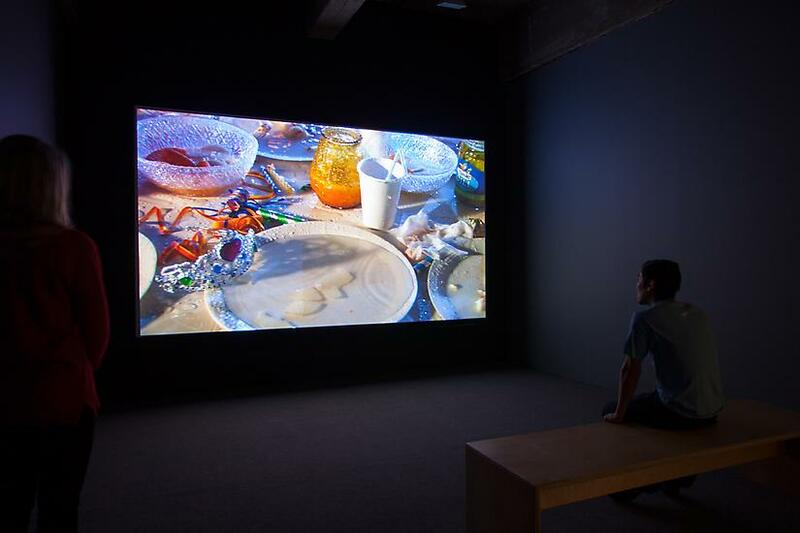 Tanya Bonakdar Gallery is pleased to present an exhibition of video work titled Eight, Eighteen by Teresa Hubbard and Alexander Birchler. Eight revolves around a young girl and a house on a rainy night. 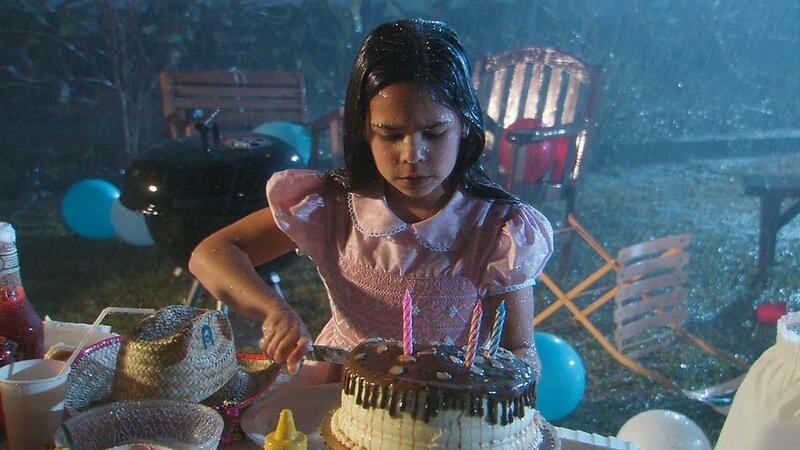 In uninterrupted camera movements between the house's interior and exterior, a storm follows the girl who is trying to salvage her ruined birthday cake. 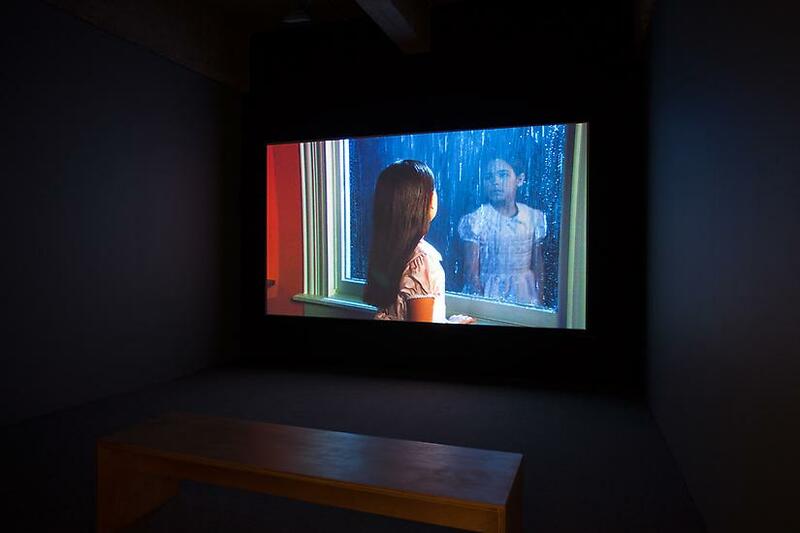 Since the time of it's New York 2002 premiere at Tanya Bonakdar Gallery, Eight has been included in pivotal international exhibitions and has become one of the most widely recognized narrative loops in video art. In a nod to this history, the artists are re-staging the work in the same gallery space as it was originally shown. Almost a decade later, Hubbard / Birchler decided to search for the same actor who had portrayed the young girl. They found her in Boston, where she has grown up to become a dancer. Eighteen picks up on the same character in a scene of her eighteenth birthday party. As in the work Eight, the artists have developed a narrative perspective that feels unsettled and does not come to closure. Architecture as a physical shelter continually reshaped around the young woman as she journeys between storm and sunshine, day and night, summer and winter. Eighteen incorporates three musical compositions written in 1888 for piano by Erik Satie. The three movements in the Gymnopédies share a common structure and are regarded as an important precursor to modern ambient music. For Eighteen the music has been rearranged for acoustic guitar and is performed by one of the secondary teenage characters in the film. 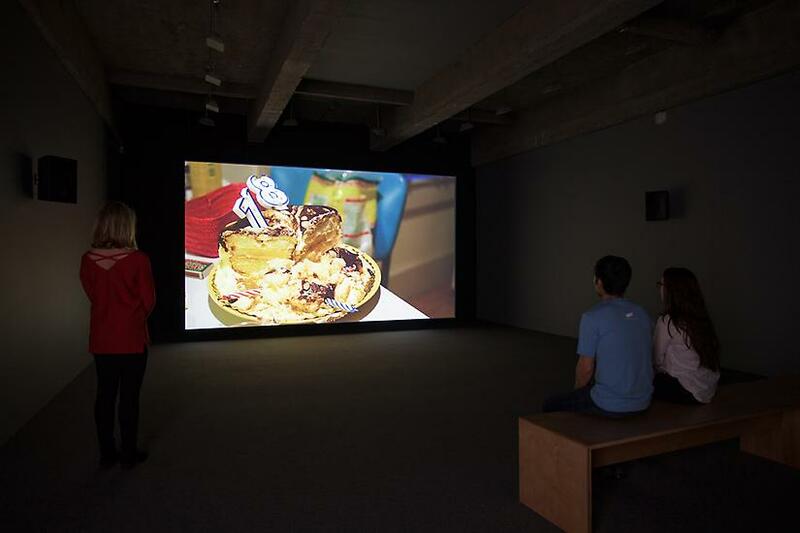 In their video work over recent years, Hubbard / Birchler have been exploring looping narrative structures parallel to longitudinal studies and forms of expanded documentary. In Eighteen, these trajectories intersect, picking up on both the fictionalized role and real time development in the life of a young woman. Concurrent with the exhibition at Tanya Bonakdar Gallery, the artists are presenting Sound Speed Marker at Ballroom Marfa. This trilogy of videos span the past five years of work, and explore film's relationship to place and the traces that movie making leaves behind. The exhibition will tour to the Irish Museum of Modern Art, Dublin and Blaffer Art Museum, Houston. 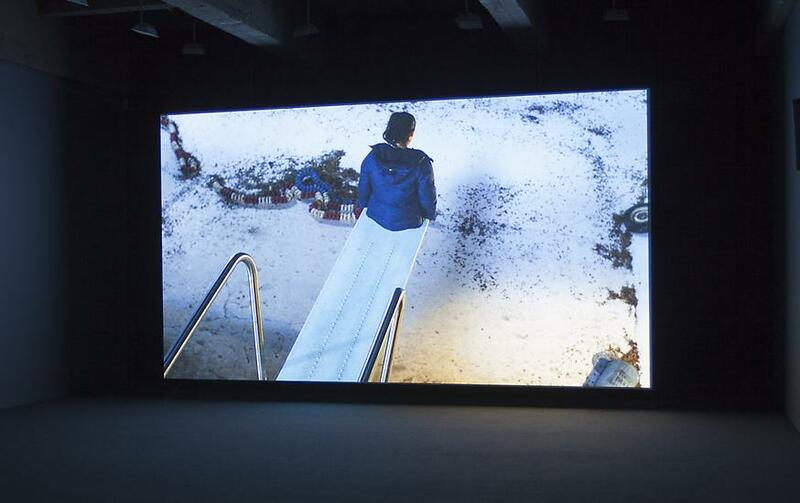 Teresa Hubbard and Alexander Birchler have been working collaboratively since 1990. Their work is held in numerous public collections including the Museum of Contemporary Art, Los Angeles; Hirshhorn Museum and Sculpture Garden, Washington D. C.; Kunsthaus Zurich; Modern Art Museum Fort Worth; Museum of Fine Arts Houston; Kunstmuseum, Museum für Gegenwartskunst Basel and the Staedel Museum, Frankfurt. 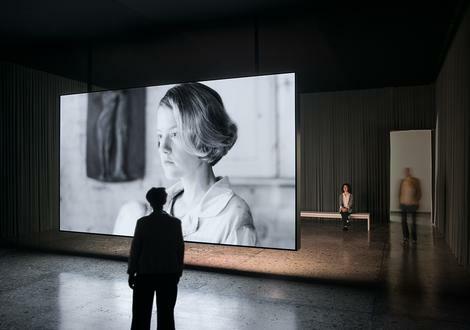 Their work has been shown in venues such as the Venice Biennial; the Tate Museum Liverpool; Whitney Museum of American Art, New York; Museum of Contemporary Art Chicago; Hamburger Bahnhof-Museum für Gegenwart, Berlin; Kunsthaus Graz and the Mori Museum Tokyo. The artists would like to acknowledge the generous support of the Linda Pace Foundation for the creation of Eighteen.